Of the Gospel as the Power of God unto Salvation: A Sermon, delivered in Trinity-Church, New-Haven, on Wednesday, October 27, 1819, at the Consecration of the Right Rev. Thomas C. Brownell. New-Haven: Printed by A.H. Maltby & Co., 1819. An Address Delivered in Christ Church, Hartford, at the Funeral of the Rt. Rev. 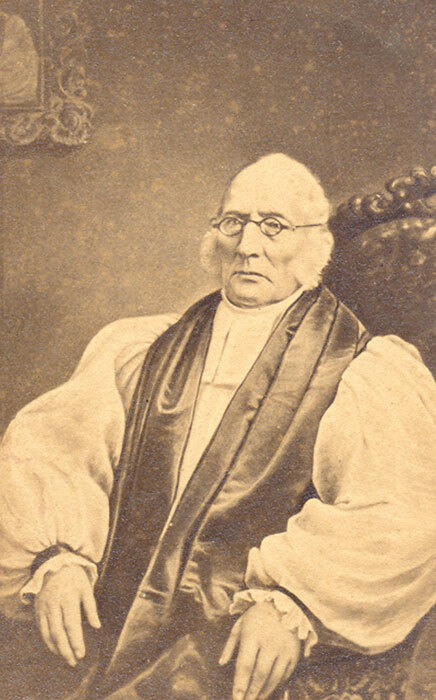 Thomas Church Brownell, Third Bishop of Connecticut January xviith, MDCCCLXV. Autobiography of Thomas Church Brownell, Third Bishop of Connecticut. A Charge to the Clergy of the Protestant Episcopal Church in the State of Connecticut, Delivered at the Convention of the Church in Said State, in St. John's Church, at Waterbury, on Wednesday, the 6th Day of June, A.D. 1821. New-Haven: Printed by A.H. Maltby and Co.--Glebe Building, 1822. Sermon, Addressed to the Legislature of the State of Connecticut, at the Annual Election, in New-Haven, May 1st, 1822. New-Haven: Printed by J. Barber, 1822. Christian Zeal: A Sermon, Preached at the Opening of the General Convention of the Protestant Episcopal Church in the United States of America, in St. James' Church, Philadelphia, on Wednesday, August 12, 1829. A Sermon, Preached in St. John's Chapel, New-York, on the Twenty-sixth Day of November, MDCCCXXX, at the Consecration of the Right Reverend Benjamin T. Onderdonk, D.D., Bishop of the Protestant Episcopal Church in the Diocese of New-York. And also, an Address by the Right Reverend William White. New York: Protestant Episcopal Press, 1830. Appeal to the Members of the Protestant Episcopal Church, in Behalf of the Church Scholarship Society. Hartford: H. and F. J. Huntington, 1831. A Charge to the Clergy of the Protestant Episcopal Church in the State of Connecticut. Delivered at the Convention of the Church in Trinity Church, New Haven, on Wednesday, the 6th of June, A.D. 1832. New Haven: L.H. Young, 1832. Address, upon the Occasion of the Annual Commencement of the General Theological Seminary, of the Protestant Episcopal Church in the United States; Delivered in the Chapel of St. Peter's Church, June 29, 1832. New-York: Printed at the Protestant Episcopal Press, 1832. A Charge Delivered to the Clergy of the Protestant Episcopal Church in the Diocese of Connecticut, Assembled in Convention at Christ Church, Hartford. On the 11th day of October, 1836. Hartford: Case, Tiffany & Co., 1836. Errors of the Times: A Charge Delivered to the Clergy of the Diocese of Connecticut, at the Annual Convention, holden in Christ Church, in the city of Hartford, June 13, 1843. Hartford: Case, Tiffany & Co., 1843.